Kanye West files lawsuit against Roc-A-Fella Records, Kim Porter's cause of death finally revealed and DMX released from prison after serving one-year sentence. According to The Hollywood Reporter, Kanye West is suing JAY-Z's former imprint Roc-A-Fella Records, EMI Publishing, UMG Recordings and Bravado International over unpaid royalties and publishing rights. TMZ reports the G.O.O.D Music founder filed two different lawsuits on Friday (Jan. 25), one against Roc-A-Fella who he claims he signed an exclusive recording agreement with. The legal documents are said to be heavily redacted but he's allegedly owed money. A source close to Kanye West tells TMZ the suit has nothing to do with JAY-Z as the hip hop mogul sold his share in Roc-A-Fella back in 2004 and no longer has connections to the company. 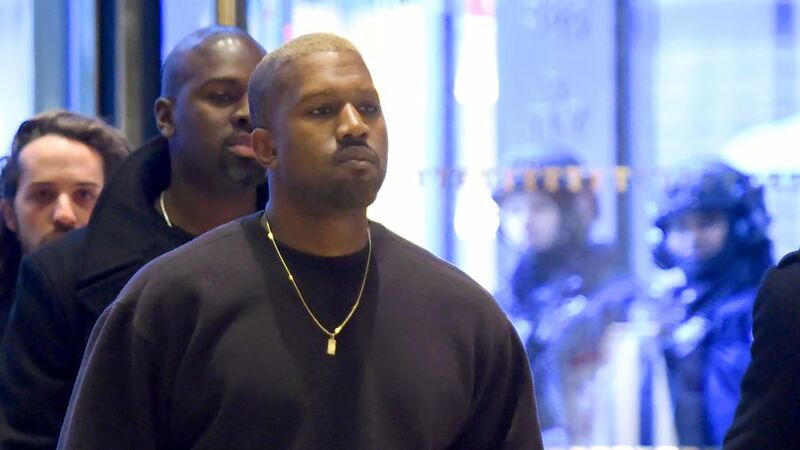 West also filed a lawsuit against EMI Publishing who he signed with in 2003, a year before the release of his breakout album "The College Dropout." The lawsuit claims by the end of 2011, Kanye had written solely or with other writers over 200 songs and gave those rights to EMI, many of which includes some of the most influential and successful songs in his catalog. Kanye is reportedly being represented by Quinn Emanuel Urquhart & Sullivan - one of the most powerful firms in America. Kim Porter, mother of three of Diddy's children, died from a form of pneumonia ... TMZ reports. The L.A. County Coroner's office lists the cause of death as lobar pneumonia -- which is an inflammation of an entire lobe of the lungs. Kim was found dead in her Toluca Lake, Calif. home on Nov. 15 at the age of 47. The model was reportedly battling the flu and complained she wasn't feeling well the night before she was pronounced dead. According to reports, her housemaids found her unresponsive and called 911. There were unopened or partially opened bottles of water, Pedialyte and sports drinks on her nightstand. There were also antibiotics, a Z-pack -- a bowl of tomato soup and some Tylenol. Kim was laid to rest on Nov. 24 at her home state of Georgia. Rest in peace. DMX, real name, Earl Simmons was released from Gilmer Federal Correctional Institution in West Virginia on Friday Morning (Jan. 25) after serving a-one year sentence for tax evasion. The often-troubled rapper now has to pay $2.3 million in restitution to the government and has been mandated to enroll into substance abuse and mental health programs. TMZ reports the Dog MC is getting right back to work and plans on dropping a new album this year as well as some new movie projects, including a biopic. The 48-year old rapper's release date was originally Sunday (Jan. 27) but was let out early as the date falls on a weekend. Federal policy.